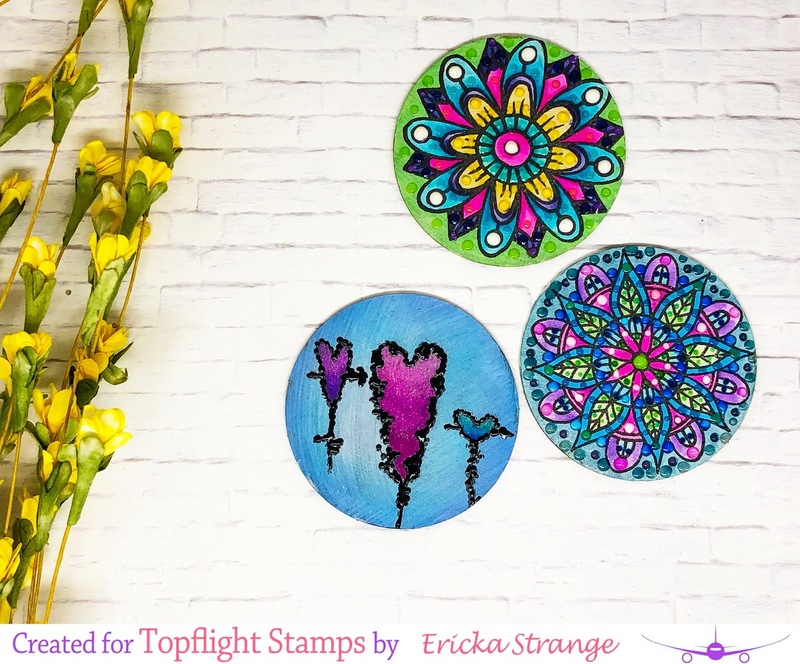 I’m over at the Topflight Stamp blog today here with a post using Artist Trading Coins (ATC) from That’s Crafty. This was the first time I’ve ever created ATCs and was such a fun way to stretch both my supplies and my creativity. I’m not sure how long ATCoins have been around, but to be honest I had to look at some YouTube videos to see how to start creating them. I choose to apply a layer of white Gesso to the coins to prep them for coloring. After that layer dried I choose these two stamp sets to play with. I stamped the images on the coins and then added a layer of sparkle pens and some Nuvo drops to add some fun dimension and colors. For this coin, I decdied to first add some distress ink and then use some sharpies to color the hearts. I then added some black Nuvo drops to darken the stamped image. These were so fun to create and I will definitely be making more. Thanks for stopping by and have a great week.